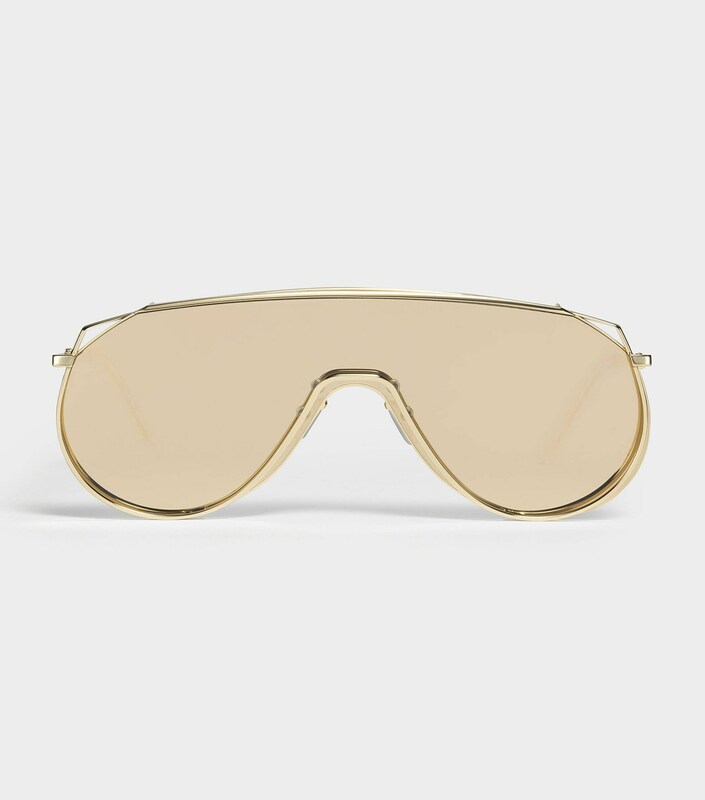 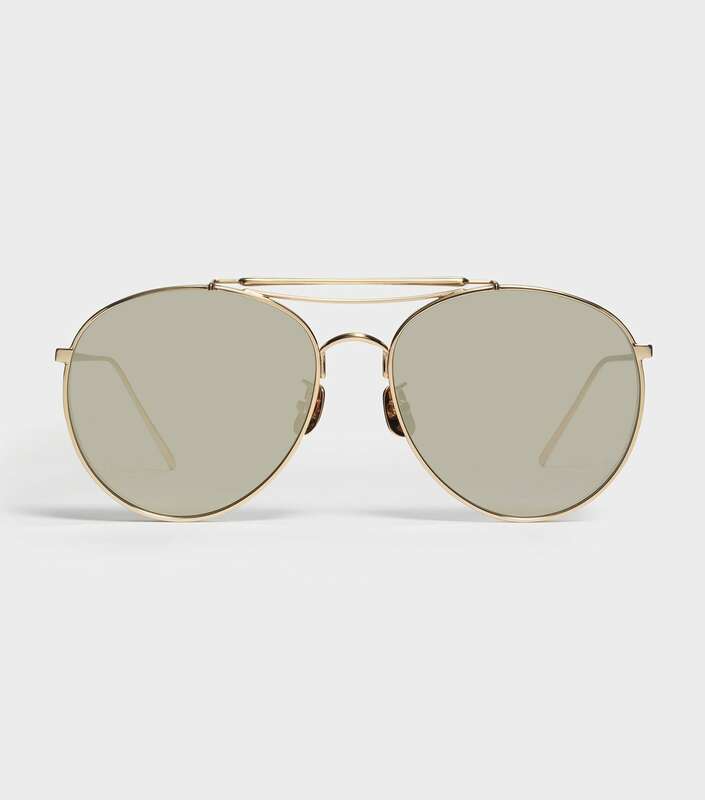 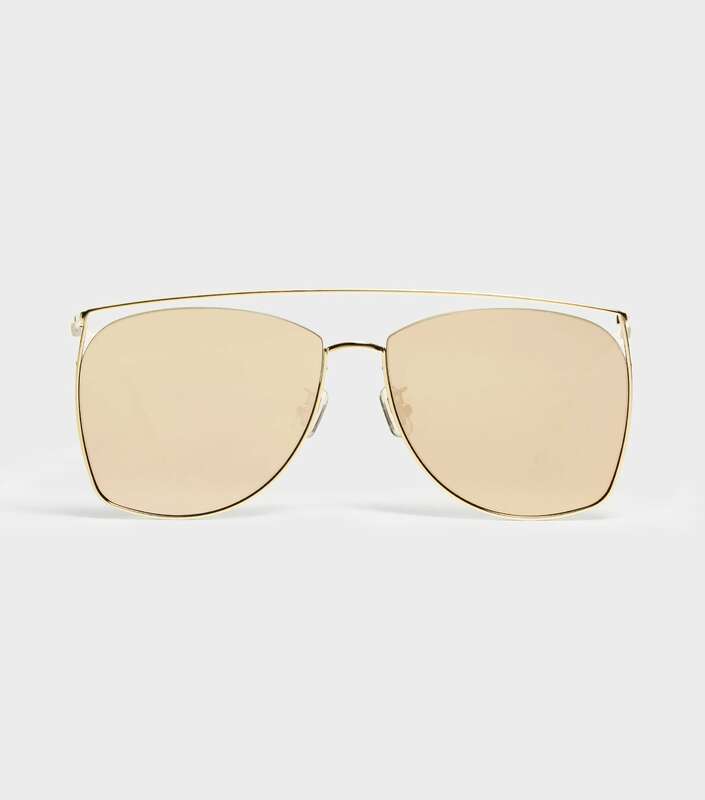 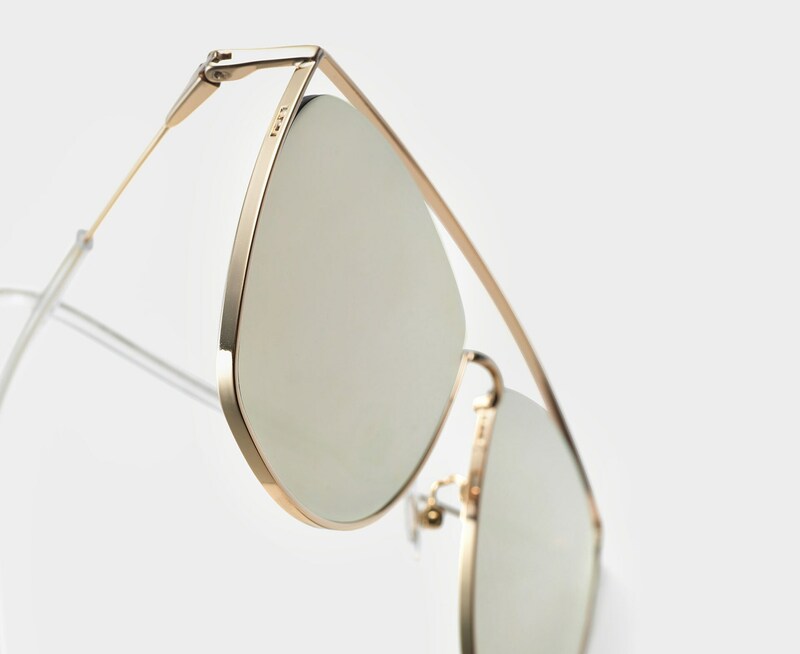 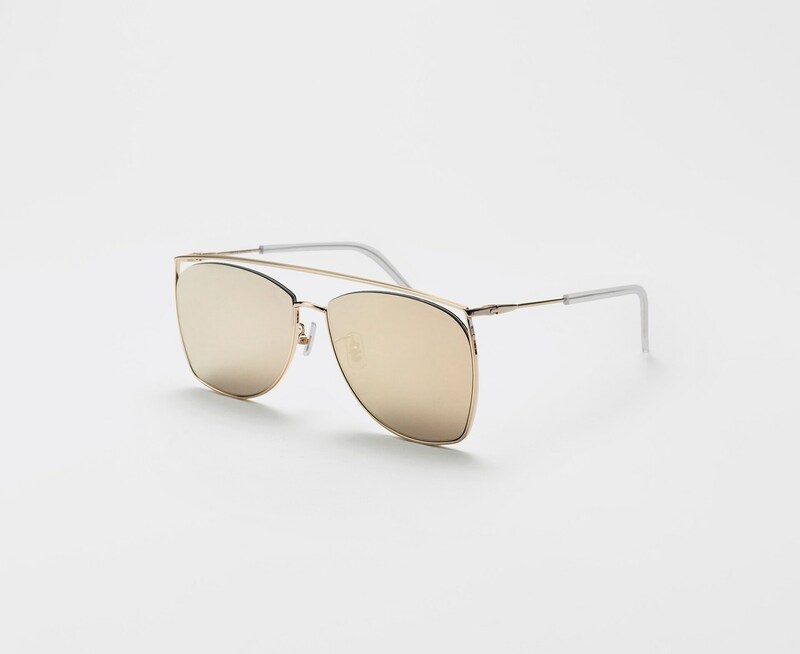 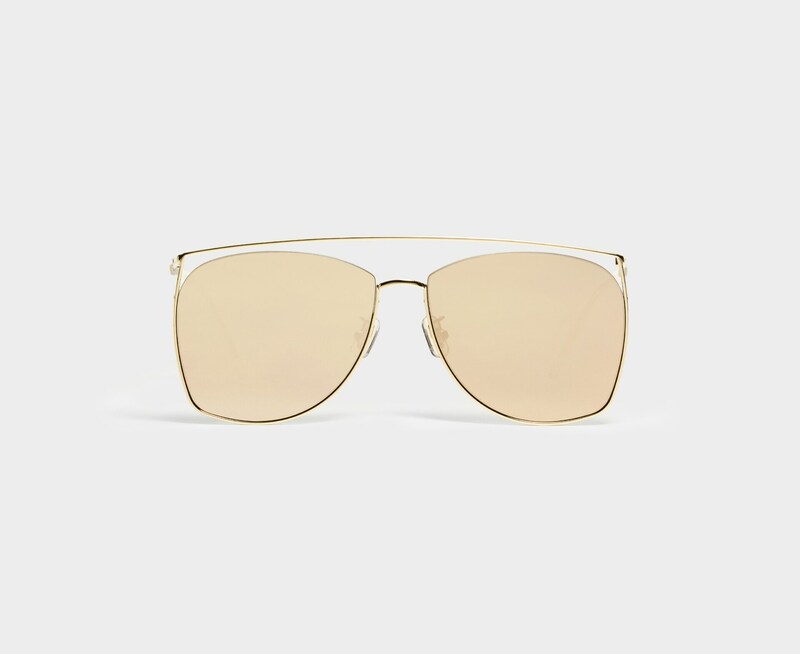 The Tick Tock 032(14M) is an aviator frame in gold stainless steel. 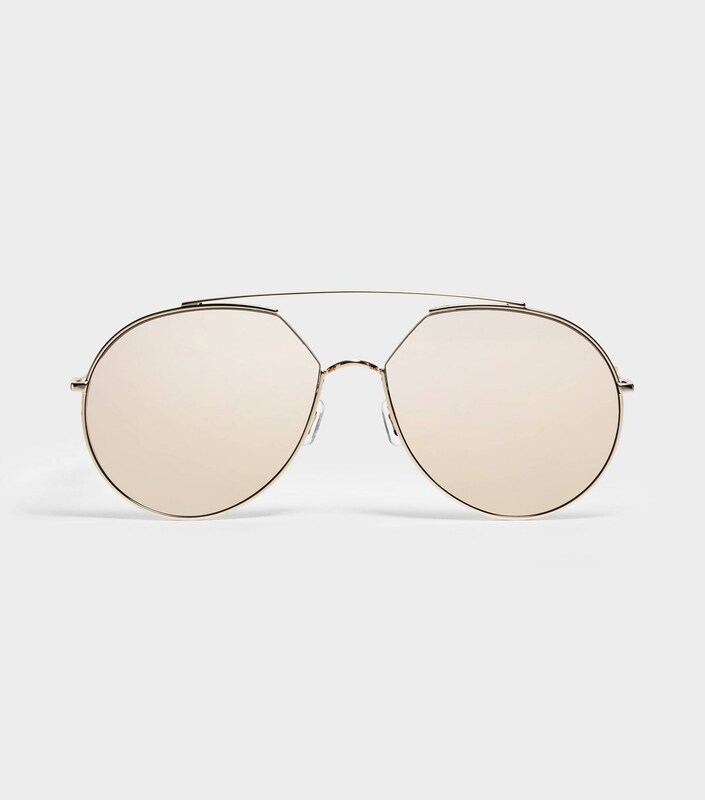 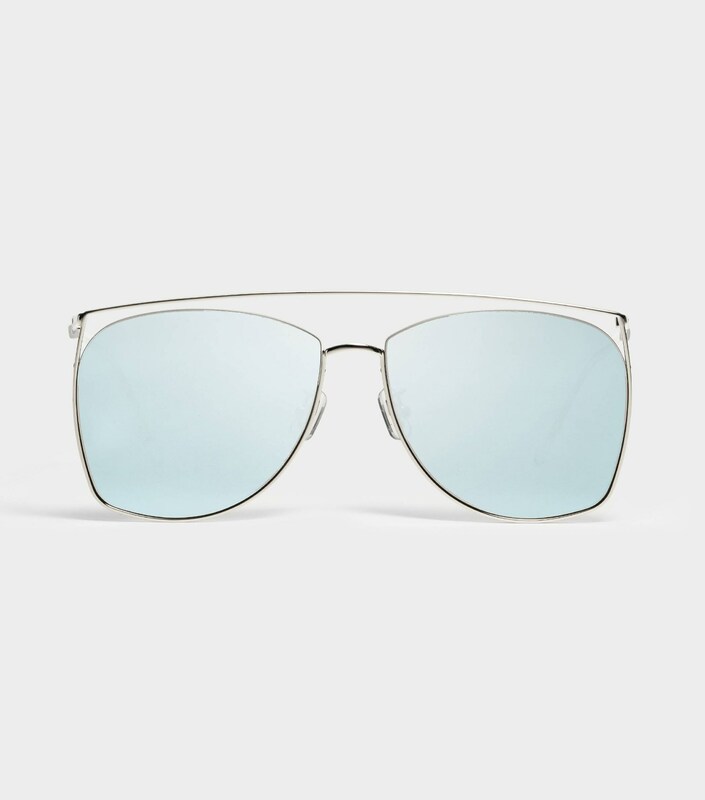 Taking on a more rectangular shape, this style features a unique frame front and brow-bridge. 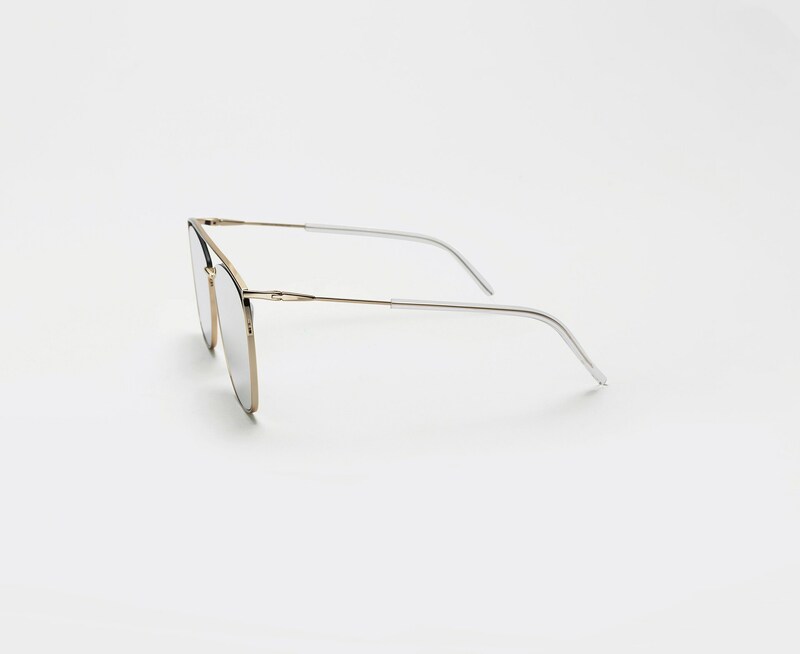 The frames are finished with flat apricot mirrored squared lenses, 100% UV Protection, and adjustable PVC nose pads.